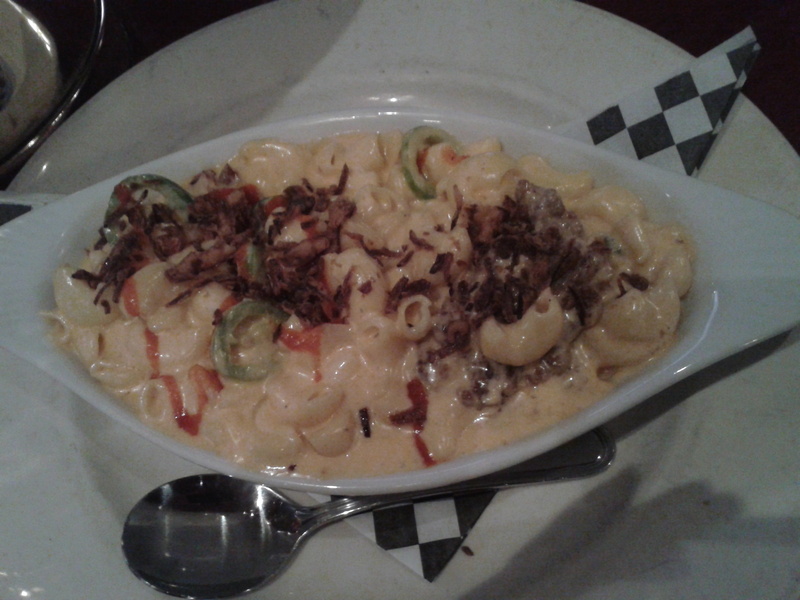 This loaded mac and cheese sounded yummy on the menu and tasted pretty good. But can you say “Hamburger Helper”? Before you try this at home, make sure you have a salty smoky cheese. And, as much as we all love those green jalapeno ringlets, the more vibrant the color, the more vibrant the dish. If you can use a red pepper, always go red. Even my 5 year old niece knows that! This entry was posted on Saturday, August 31st, 2013 at 6:54 PM	and posted in Food, San Luis Obispo. You can follow any responses to this entry through the RSS 2.0 feed.